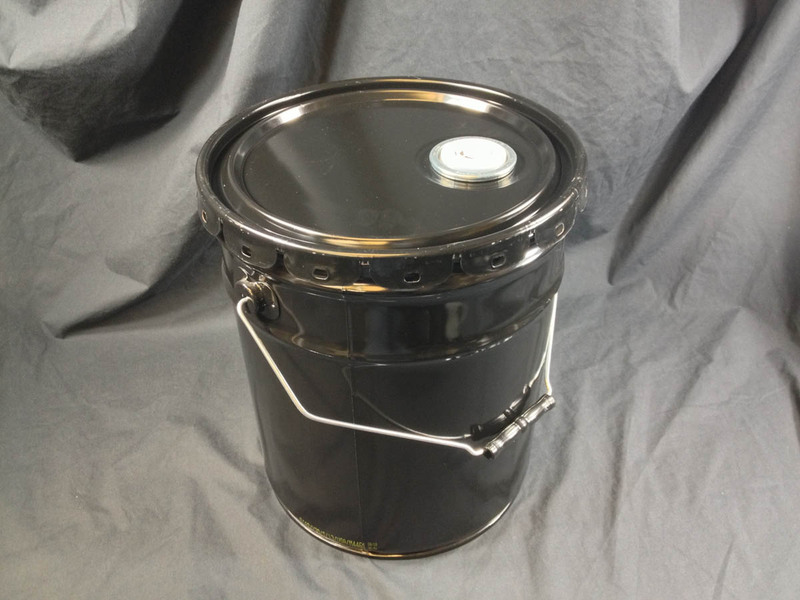 This image shows our 5 gallon unlined steel pail (metal bucket) with a spouted lug cover. Spouts remain flat until the end user removes the tamper evident seal and pulls the spout upward. The screw cap on the internal spout is then twisted off and the contents dispensed. The screw cap can be secured back on the spout, keeping the product fresh.